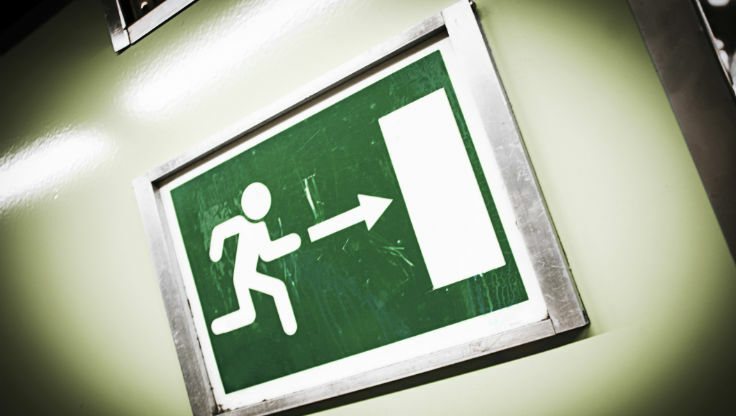 Waiting to develop an exit plan can result in haphazard transitions. Agency owners who put off exit planning might not do so out of laziness. One of the hardest decisions for a business leader to make is when to exit. This is also one of the most important decisions. This choice informs every other aspect of management, from the people hired to firm branding to client relationships. It also directly impacts the leader and those who depend on him. The longer one waits to implement an exit plan, the harder it becomes to create the right infrastructure for an orderly transition, let alone a forced transition in the unfortunate event of death or disability. Lately we are hearing from more 60- and 70-year-olds who are struggling with the question of when and how to exit. While objective observers may view these individuals as closing in on the end of their careers, many veterans see a more youthful reflection in the mirror. They seem to believe that the half-life of a financial advisor is greater than that of any other profession. While valid sentiments, these arguments seem out of harmony with the way most advisors live their lives and serve their clients. By dint of their profession, advisors often challenge others to face reality and make hard decisions. Lack of vision. It is hard to take charge of your destiny when you have no clue what your destiny looks like. This business tends to define people, both their self-image and how they are seen in their community. As a result, many firm leaders find it difficult to imagine a life beyond the business, whether a life of leisurely retirement or an encore professional life doing some other type of meaningful work. Lack of time. This business also tends to consume every waking moment of the people working in it. Very few advisors take time for reflection and contemplation. With no effort spent thinking about the future or executing on a transition plan, there should be no expectation of a fulfilling outcome. Lack of commitment. When you love something or someone, it is quite easy to make a commitment. When you have an aversion to something, you tend to avoid it. Most people find thinking about their exit both distasteful and scary. I rarely hear leaders say how much they are looking forward to the end of their career. The absence of passion and incentive begets the absence of commitment to an exit plan. Lack of context. Proper perspective aids all big decisions. Because it seems so final, business leaders often view the decision to retire or sell their business as an all-or-nothing, black-and-white choice. Leaders often fail to realize that binding agreements can control many aspects of a transition, enabling them to customize exit plans, including their wishes to keep working, stay involved with clients or be recognized as a continuing part of the business. Leaders can even arrange for continuing income. Lack of courage. Brave acts often take place early in our lives when we have no wisdom and little to lose. Conversely, the older we are, the less we choose actions that could put our lives or lifestyle at risk. Living on borrowed time, fear becomes our driver, and unfortunately that often means shying away or retreating from a challenge completely. Lack of consideration. Perhaps the biggest elephant in the room is the seeming lack of consideration for employees, clients and family. Indecision means nothing is being dealt with effectively, leaving issues to be addressed by the executor of the estate or by heirs who have to clean up the mess. When leaders bet that they can beat the clock, they forget that their ante includes the wealth, income and peace of mind of many others. No doubt this list sounds preachy, but having talked about this subject to literally thousands of financial advisors and business executives over my career, I can state with great confidence that elements of each of these reasons exist in every leader postponing the decision to exit. Those who push bosses or parents or partners to make a decision fear the consequences of inaction. Often the tone of these discussions becomes increasingly belligerent as we point out all of the logical reasons why they must do something sooner rather than later. We push and pull until they shut down and avoid us. This causes more anger. What we often miss is a sense of compassion for the torment that this decision may be causing the business owner or executive. Look at it from the other perspective. While we try to console a widow, she’s worried about her financial security. While we confront an alcoholic friend, he’s thinking about the booze that would ease this painful conversation. While we warn our teenage daughter about the dangers of hanging out with the wrong people, she’s remembering the joy of being with friends who relate to her angst. The consequences of dithering are self-evident, but those with a vested interest in the decision may need to change their approach. Talking instead of listening rarely creates the desired outcome. Using logic when someone just wants to be hugged ignores the need. We shouldn’t assume that those who are procrastinating on a critical decision don’t understand the facts. People who understand the facts don’t need to be reminded of them over and over again. Rather, ditherers need to be guided through the emotional minefield ahead. They need to have the root causes of their anxiety exposed and gently addressed. They need help navigating a confusing maze of emotions without losing face or creating more problems. Upon reflection, I wonder if we should try to impose our wishes on those who have a right to ignore us. Inaction is a decision, isn’t it? What if they don’t care what we think? What if they have no desire to leave the business or to give us something just because we expect it? What if their greatest passion is to work until they can’t, regardless of what it means for us? It’s true that those who can pull themselves away from their own reflection may design a transition plan that takes care of them as well as those who depend on them. In the end, however, it’s the leader’s business, decision and responsibility. For leaders facing this difficult time, try to be aware of the options and mindful of the consequences of inaction, then decide on your course — even if that means deciding not to act.